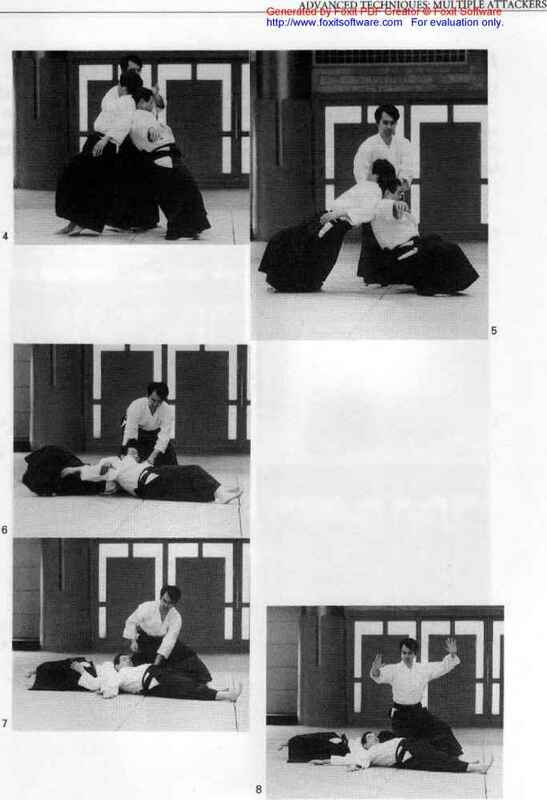 Uke 1 grips tons left hand from die left with his left hand and uke 2 grips tons right hand with his right hand. 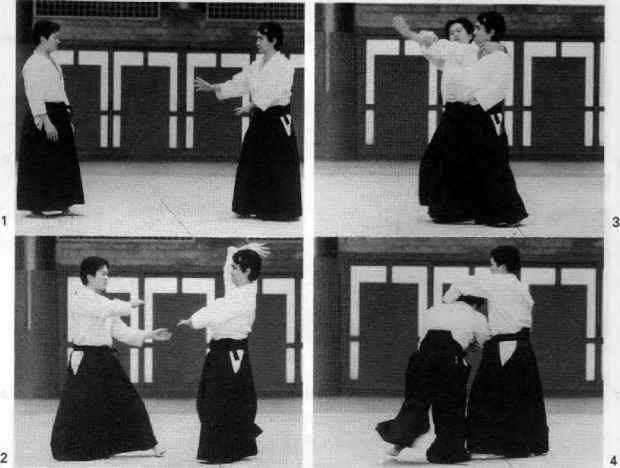 Tori raises his right hand-sword with aikt-age while stepping forward with his right leg. Tori grips the right hands of both uke, turns, and pulls their hands behind his head. 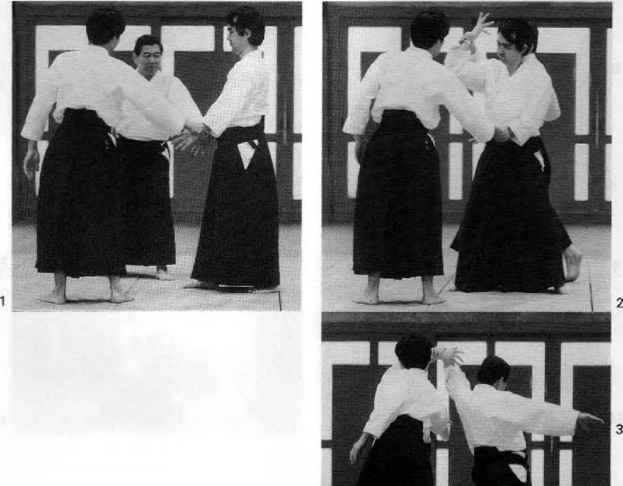 He moves uke 1 over to the left. 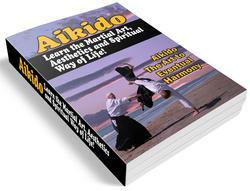 He crosses the arms of the two uke, one over the other, and brings both uke to the ground. Tori pins one arm of each uke with his right knee to complete the pin.